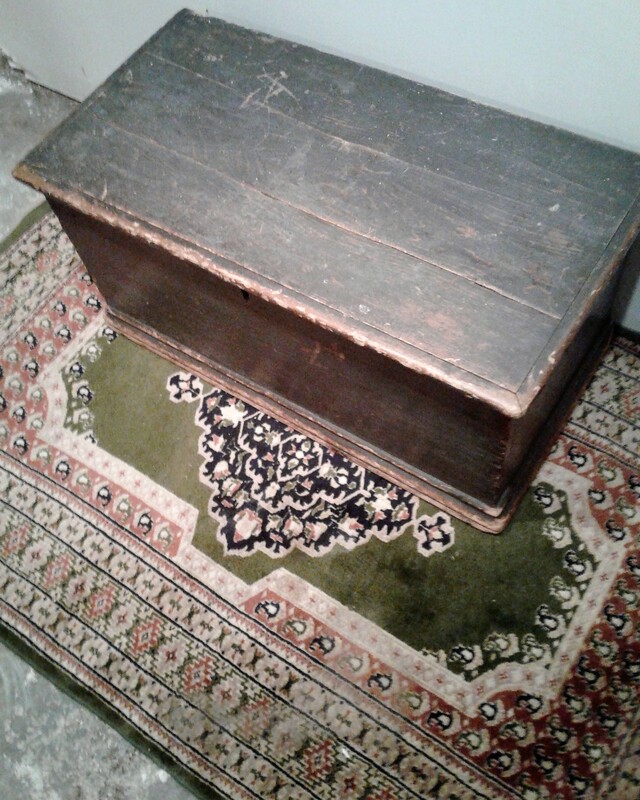 Small Pine Blanket Box in Original Finish. Lanark County, 3rd Quarter 19th Century. Good blue / grey colour. No restorations.